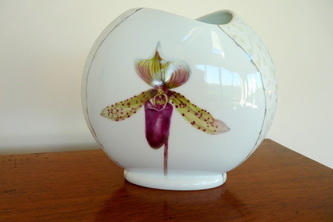 These handpainted orchid vases are painted in a botanical style using overglaze enamels and lustres. 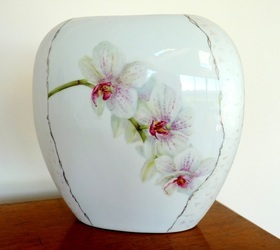 This is a painstaking process, and the techniques involved means these pieces have to be kiln fired several times, each firing taking a day to complete. 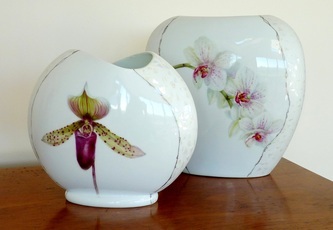 These pieces look fabulous in both a contemporary and traditional interior setting, they have a timeless appeal.